Air Bed — Pauls Seating, INC.
Paul's Air Bed provides an easy solution for sleepy travelers who demand both comfort and affordability. 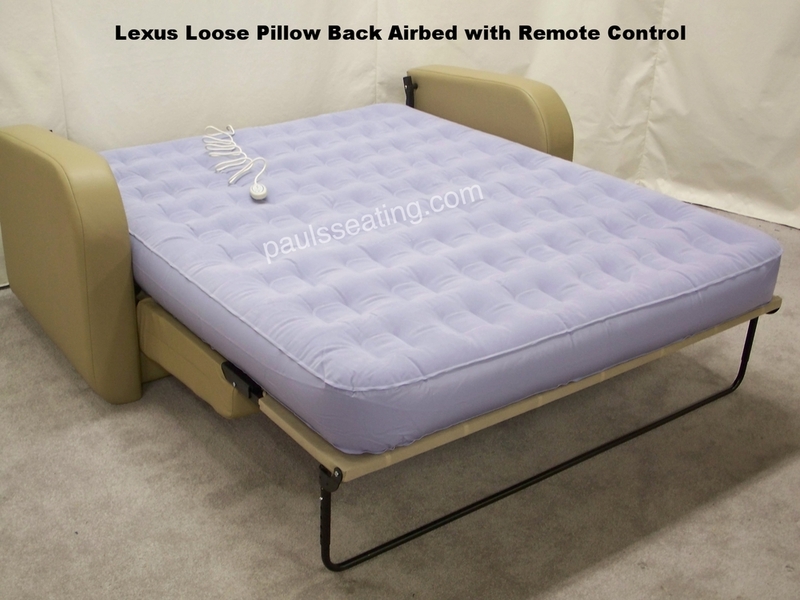 The Air Bed, like the Lexus, features storage space underneath, optional cup-holders, and comes in a variety colors and new designs. It has an adjustable leg from a flush floor to a 4 inch raised floor. Includes 100% American made steel, high Density fire resistant foam, optional drawer storage or center fold-down with cup holder and remote storage. 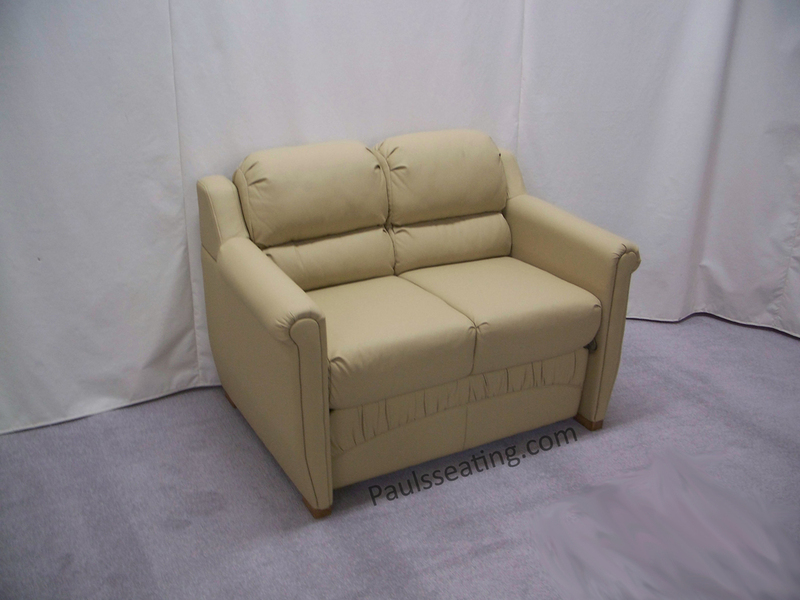 Comes in versatile color schemes, lumbar support, and a five year warranty on all steel, and one-year warranty on all foam, fabrics, binding parts and labor. For 2017 check out the newly designed Bentley AirBed for a modern take on the classic AirBed. 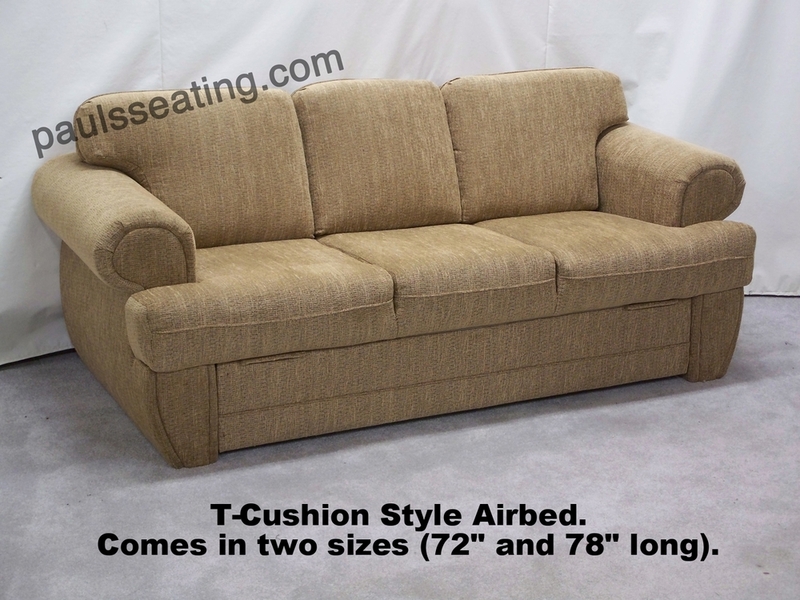 The T-Cushion Style Airbed (Pictured 4th row) comes in two sizes (72" and 78" long). The Xtreme Airbed features 2-sizes 64" and 70" Also available in Hide-A-Bed with a 64", 70" and 78" options Featured in Flush or raised floor.